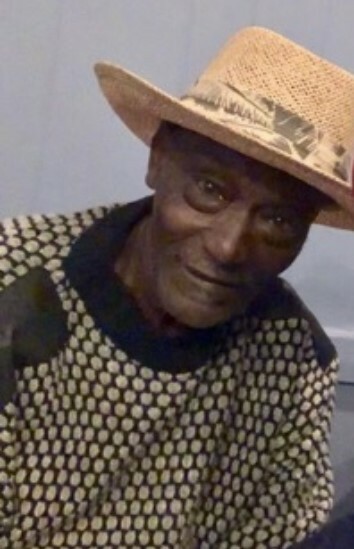 Obituary for Clarence Johnnie Demps, Sr.
Clarence Johnnie Demps was born on December 2, 1935 in Jacksonville, Florida (Duval County) to Julia Graham Demps-Chatman and Lockett Demps. Clarence was married to Dovie Cooper-Demps. He attended Duval County Public Schools and he was an All-star Athlete at Douglas Anderson High School in basketball, track and football. His favorite number was #44. He was a member of Southside Church of God in Christ at a young age and served under Bishop James Hinsley, Bishop Jessie Earl Williams and Bishop Edward Robinson. Brother Demps was a blue collar worker in plumbing and in the sanitation industry. He loved the outdoors and his hobbies were fishing and hunting. He was a great tenor vocalist and a lead singer in the original Cliftone Gospel Singers. He was known for his sense of humor that ignited laughter in almost every setting or person that he came into contact with. Brother Demps passed away Saturday, February 9, 2019 at Baptist Medical Center with family and friends at his bedside. Preceded him in death was his mother, Julia Graham Demps-Chatman; his father, Lockett; his siblings, Naomi Demps McCrary, Johnnie Chatman and Theodore Demps; and his sons, Clarence J. Demps, Jr. (born 1960) and Clarence J. Demps, Jr. (born 1978). He leaves to cherish his memories, his children, Gary Lewis (Yoshie), Cynthia Fowlkes (Curtis), Morris Powell, Thelma Demps-Rigby, Maurice Demps and Elizabeth Julia Demps-Wilson; siblings, Katherine Demps, Charles Demps (Elizabeth), Rosalyn Randolph, Hiram Chatman and Theresa Stanford (Robert Sr.); grandchildren, Samuel Lewis, Matthew Lewis, Joshua Lewis, Rachel Lewis, Elisheba Fowlkes, Saadiah Kadmiel Fowlkes, Cynthia Rigby, Deonna Demps, Curtis Wilson, Alyssa Wilson, Kiana Oliver, Hunter Ward and Dakota Ward; great-grandchildren, Aryanna Rigby, Christianna Rigby, Abdul Waris Adesiire Dele and Noah Lewis; special friend, Sam Wilson; and a host of nieces, nephews, cousins and many sorrowing friends.